Rock Falcon, the poster boy for Softimage’s Face Robot technology, takes digital acting to new heights with expressive facial animation. The problem is a classic one for animators-many of whom have fallen back on the argument that there is no place for hyper-realistic human animation. When it comes to animating humans, it’s better to opt for more stylized faces so the viewer doesn’t get distracted. And certainly there is a whole beautiful body of work that supports this point including Disney’s Snow White, Hayao Miyazakiís Spirited Away, Pixar’s melding of classic squash-and-stretch with 3D in The Incredibles. But then, an animated character like Gollum comes along, a combination of talented acting by Andy Serkis, and stellar animation by at least 18 animators working for Weta. The bar is moved. At Blur Studios, in Venice Beach, CA, the quest for good facial animation is close to an obsession. However, Blur is not the kind of studio that puts an army of technicians to work on specialized software. Rather, Blur prides itself on turning out high-quality 3D animation on time and on budget. Its body of work includes mischievous animated critters such as the Academy Award nominee Gopher Broke and plenty of human character animation for cinematics in games such as X-Men Legends 2 Rise of Apocalypse. 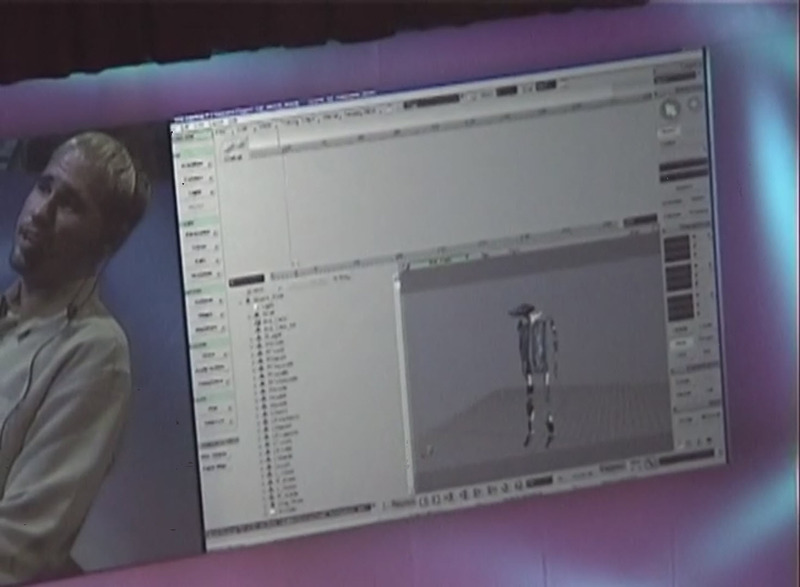 Softimage’s Face Robot technology is being utiliized for many projects at Blur. 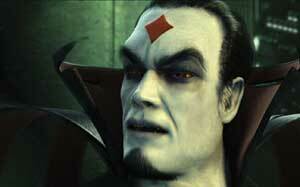 Most recently, it was used to complete a series of game cinematics for Xmen Legend 2. When it comes to facial animation, Miller is opinionated and outspoken. He levels plenty of criticism at the tools that have been available from Alias, Autodesk, Softimage, and LightWave, saying the Blur team worked arduously on facial expressions, only to end up with animation they considered unworthy of their efforts. Wilson at Blur also was frustrated, especially when Miller pointed out places where the facial animation wasn’t working , particularly around the jaw and the mouth. “You can hack the eyebrows,” notes Wilson, “but motion capture wasn’t helping with the mouth.” Up to this point, Blur Studio’s animators were trying to make facial animation work through brute force. Jeff notes that at one point, they were up to using 100 markers to capture facial movement and still the results were not what they wanted. When trying to use morphs, too many steps were required to accomplish the movements of cheeks bulging, eyes opening and eyebrows wrinkling. Blur was discovering that you can’t model and mocap every single move. Brute force is not practical. The solution, they were certain, was a matter of getting better software. “We wanted the software to do more of the work,” explained Wilson. Blur has worked primarily with Autodesk Media and Entertainment’s 3Ds max, and Miller has been a believer in a single pipeline for as much of the production as possible. So Wilson took time of to focus on facial animation, first working Autodesk Media and Entertainment’s Character Studio. The Autodesk team pitched in to help, but the Blur team wasn’t getting the results it wanted and the complexity of what they wanted to achieve slowed down the software. Somewhere around this time, the guys from Blur ran into the guys from Softimage’s Special Projects Team. (Venice, California is, after all, a small town especially if you’re working in computer animation.) And, the Softimage Special Projects Group was formed. Just around the corner from Venice’s famous Muscle Beach, in offices that, ironically, were formerly occupied by Arnold Schwarzenegger, the Softimage Special Projects Group tackles customer problems such as creating realistic facial animation. Yes, the heavy lifting for facial animation is now being carried out in Arnold’s former workout room. In those offices, Michael Isner leads the team working on facial animation, which includes Thomas Kang, Dilip Singh, and Javier von der Pahlen. Isner and von der Pahlen both have backgrounds in architecture and Kang has worked in interface design. Singh is a facial production expert, and he and von der Pahlen both have production experience and a good idea of what customers are going through. They have a larger backup group at Softimage HQ in Montreal. The relationship between Softimage’s special Projects Group and Blur is described by both as a super accelerated beta program and, in fact, Blur’s input helped the Softimage group take its Face Robot facial animation technology to the final stages of product development. Like Wilson, the Softimage team believed that the secret to facial animation was in building a system that understands how faces work so that th animator could work creatively with less focus on the mechanics of the process. But Isner and Kang both stress that the input from Blur’s animators gave them a critical understanding of how facial animation software needs to work to be truly useful to animators. Thomas Kang with skull, Gregor vom Sheidt, Michael Isner, Javier von der Pahlen, and Dilip Singh of Softimage in the Special Projects studio near Muscle Beach. “We want to be in the acting business,” said Isner who believes Face Robot can open the door to a new community of graphics artists-people who will make facial animation a specialty. And, just as there are Inferno artists, people skilled in using Autodesk’s Inferno effects software, there will be Face Robot artists. A common problem in motion capture is the requirement for up to a hundred control points, which can cause lengthy set up times. Face Robot reduces the complexity and time of this process by using only 32 points. The result is a quicker process and better control over editing afterwards. A head created with any 3D modeling tool, for example, can be brought into Face Robot, where the key 32 facial landmarks are selected on the model. Face Robot includes an interface that prompts users to select the points such as corner of mouth, corner of eye, center of eyebrow, etc., and motion capture or keyframe animation can be used to drive a new set of handles that are optimized to pull the face around like a piece of rubber. Through being bundled with the entire programming API, modeling and character setup environment within Softimage XSI it has a great deal of flexibility for studios to fine-tune the facial system for their own needs. The process of incorporating additional rigging over the Face Robot solver allows studios to make the system resemble their own internal facial animation processes an interfaces. Face Robot also includes the ability to work with motion capture data, as well as perform keyframe animation. It is a superset of Softimage XSI and includes a complete environment for facial animation, with tweaks to the XSI core. So while Face Robot has all the capabilities of XSI, it also has its own unique engine for faces. Underneath it all, there is math. Michael Isner says the engine for Face Robot is essentially a solver with a collection of algorithms tackling the problems of facial movement. “We parametized the problem.” To meet those parameters, however, Face Robot requires a certain level of modeling. In most instances, says Isner, users will bring a head into Face Robot and they may have to fine-tune it to meet the expectations of the system’s engine. Face Robot has tools for modeling and sculpting the head beyond what is originally brought into the system. Being realistic, Isner says Face Robot could make the lives of animators more difficult as they get used to the initial hurdle of having to create a higher level of facial detail. It will require expertise, but the work put into preparing the head for animation will be rewarded with more flexibility, and power, when it comes to actually creating animation. Clearly the effort has paid off for Blur. Jeff Wilson notes that the company’s productivity has skyrocketed. Wilson says that animators at Blur have been able to turn around about one second of animation for every hour of animator time, including setup. It’s a new equation for the company. The company believes that the ability to animate faces better will also drive new business. Where, in the past, a lot of work went into downplaying the face in animation by focusing, instead, on the motion of the body to convey most of the performance, now they could use the face and take advantage of the emotional impact that faces can provide. Likewise, it doesn’t take much to get Isner talking excitedly about the potential for facial animation and for Softimage. The ability to create Face Robot comes to a large degree from the painful rewriting process that took Softimage to the next level with XSI. One of the new features of XSI 5 is Gator, the ability to apply animation from one model to another. This can be especially powerful in the case of facial animation, and especially facial animation created with Face Robot. Performances can be saved and because of the consistent use of 32 markers, they can be easily transferred between faces. It’s even possible that an actor’s head can be scanned, captured, mo-capped, and re-used for additional footage. Jeff Wilson notes that working Face Robot into Blur’s work flow has been reasonably simple. 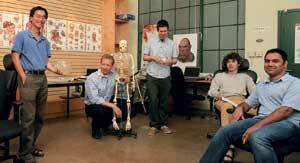 In the case of Face Robot, they are easily able to bring in a head modeled in 3ds max. At that point though, Blur tries to avoid doing additional modeling in XSI. If a head needs more work, they’ll usually go back out to 3ds max to do the additional modeling. >Face Robot supports a variety of output formats, allowing users to work with different modeling and animation products for their entire project. Of course, notes Isner, the process would be naturally easier when the pipeline is based on XSI. Just as Blur Studios is enjoying a period where they have an edge over the competition with Face Robot, before the product is officially rolled out, Softimage believes they have an edge with Face Robot. Softimage Vice President Gregor von Sheidt, former CEO of Alienbrain who came to Softimage with Alienbrain’s acquisition, will be leading the introduction of the new product. Face Robot isn’t going to be thrown to the dogs as a low cost module. Rather, von Sheidt says Face Robot is a high-end tool and will carry a premium price. The price tag will be closer to the Softimage of old than the XSI of today. It’s not a product for everyone and Softimage is not going for volume. Instead, Face Robot will be offered to key customers first. “We want users to have a good experience and we need to be sure we can support them. 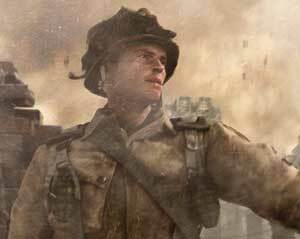 Blur used Face Robot in the animation pipeline when creating the Brothers in Arms television commercials for its client Activision. Obviously, Face Robot is enjoying a honeymoon. As of this writing only a few people have access to the software and most of them work for Blur Studios or Softimage. Blur helped develop it and they do see room for improvement, “especially around the mouth,” says Tim Miller who apparently says this a lot because everyone standing around him will sigh, roll their eyes just slightly, and give a resigned nod. It seems clear though that Face Robot really will change the face of animation. It could have the effect of democratizing facial animation in the same way new price points have expanded the universe of 3D animators. From softimage.com back in 2001. The birth and growth of 3-D animation industry thus far has been short and aggressive. In less than 12 years, the technology has transcended its “scientific” origins, overcoming numerous barriers of feasibility, affordability, cost-effectiveness, complexity of use, and productivity to become pervasive in all aspects of narrative and interactive media. The resulting computer-generated images have progressed so significantly, that they are not easily distinguished from reality. Softimage has been at the forefront in the development of this industry – taming the technology to provide tools suited for a growing fraternity of digital artists and animators. Softimage was founded in 1986 by National Film Board of Canada filmmaker Daniel Langlois on the principle of creating 3-D animation systems designed for and by artists. The concept marked a fundamental shift in how the industry viewed visual effects creation and generated a new breed of visual effects artists and animators. Langlois wanted to create animated films but was dissatisfied with the existing technology, which was insufficient for his needs and designed to be used by computer scientists and technologists. Thus, he set out to create a tool that would suit the needs of filmmakers and artists. From its beginning, Softimage has had a singular focus on its customers – the digital content creators – a vision that remains at the core of Softimage’s corporate culture and business objectives. A vision that drives the production of tools that enable more digital artists to realise their creative dreams; to express their talent; to free them of technological constraints, and to provide them full control over the three dimensions of our world. This vision has successfully driven Softimage to yield milestones that have shaped and influenced an entire industry: the first integrated animation and effects system for the entertainment industries – a de-facto standard for over ten years; on-going development of ground-breaking tools that have become the cornerstone of modern computer animation; the first company to port animation tools to PC (NT) – dramatically increasing affordability and accessibility of the tools; a broadening of integration vision to include post-production – with the release of SOFTIMAGE|DS (now Avid|DS); and SOFTIMAGE|XSI (formerly codenamed Sumatra) – next generation animation technology that dramatically improves quality and productivity – and again expands tool accessibility to the mass-markets in games and web content industries. While these milestones are complimentary, the true drive of Softimage has come from a partnership with its customers who have helped to shape the personality of the product and the company – a unique culture, brand equity and sought after leadership position at the high-end of the market. Softimage customers, numbering over 12,000 worldwide, are the most inspired and creative artists in the world – large customers such as Industrial Light and Magic, Digital Domain, Sega, Nintendo, and Sony. Plus, small customers, such as the one seat boutique or even the student just starting to learn – all of who use the product to its fullest and drive its future direction. The results of this partnership is an impressive portfolio of hundreds of major feature films (Jurassic Park, Titanic, The Matrix, Men in Black, Star Wars – the Phantom Menace, Gladiator), games (Super Mario 64, Tekken, Virtua Fighter, Wave Race, NBA Live) and countless thousands of commercial, corporate and student projects. This high-profile content has certainly affected the film and games industries and stands to expand dramatically beyond its current realm. The current Managing Director of this pioneering company is Michael Stojda, who after working for the past seven years at Softimage and Avid and managing a wide range of effects, editing, and finishing products at both companies, was promoted in April 2001. Reporting to David Krall, President and CEO of Avid Technology, Michael provides strategic business and operational leadership for Softimage, Avid’s animation and special effects division. Softimage currently serves users in the film, games and television industries with products focused on 2-D and 3-D content creation. Softimage founded on the principle of creating 3-D animation systems designed for and by artists, with or without computer experience. The concept marks a fundamental shift in how the industry views visual effects creation and generates what will soon be a new breed of visual effects artists and animators. Founder Daniel Langlois establishes the fundamental principle and design layouts of the Softimage Creative Environment system. Creative workflow and process integration become synonymous with Softimage’s philosophy. Softimage President Daniel Langlois and engineers Richard Mercille and Laurent Lauzon begin development of the company’s 3-D application software. Intuitive and productive workflow, and a truly interactive CG environment are about to become a reality. Launch of Creative Environment 1.0 at SIGGRAPH. For the first time, all 3-D processes (modeling, animation, and rendering) are integrated, providing those familiar with computer graphics with a new way of working and those unfamiliar with the technology with an opening into new possibilities. Featuring advanced tools and the first production-speed ray tracer, the system changes the approach to creating 3-D animation for years to come and sets a new standard for an entire generation of artists. Creative Environment (eventually to be known as SOFTIMAGE®|3D), will become the standard animation solution in the industry with credits in hundreds of major films, games and commercial productions. Creative Environment 1.65 with texture mapping released, adding realism and vitality to 3-D imagery. Creative Environment 2.5 released, featuring the Actor Module with Inverse Kinematics, Enveloping, Constraints. Enables animators to combine conventional techniques (such as editing and keyframing) with advanced CG tools such as IK, flexible envelopes, and dynamics. The system heralds a revolution in creating realistic CG character motion, and would later win an award from the Academy of Motion Pictures Arts and Sciences. • Creative Environment 2.52 released. • Softimage goes public on NASDAQ. • Softimage acquires the EDDIE® software and Painterly Effects, providing a complete effects generation toolkit with advanced image processing tools for color correction, filtering, rotoscoping, morphing and painting. • Softimage opens software to third-party developers. • Channels performance capture technology offer a new dimension to CG character animation. The technology is used to create a memorable spot featuring 3-D dancing cars and gas pumps for Shell Oil. • Second public offering of Softimage stock. • Softimage and mental images announce rendering technology agreement. • Softimage Creative Environment 2.6 and 2.65 released, featuring: File Management, metaclay, clusters, flock animation, weighted envelopes, channels, open system policy. • Creative Toonz debuts. The 2-D animation package automates the more tedious tasks involved in 2-D cel animation, such as inking-&-painting, while still maintaining the look of hand-drawn images and characters. 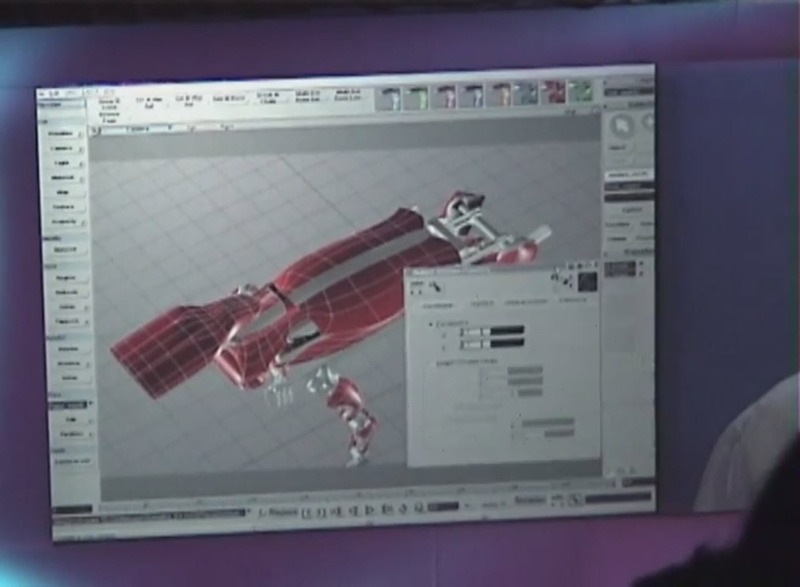 • With computers now able to handle video, Softimage begins development of Digital Studio, as a step towards integrating the 2D/3D production pipeline. The power of a post-production environment in a software-based solution is about to become a reality. • mental ray® and particles introduced. mental ray, an advanced stand-alone rendering system and Particles, an interactive particle animation system used to create natural phenomena such as clouds, snow, fire, etc. offer new flexibility in visual effects creation. • Softimage merges with Microsoft Corporation, offering a unique opportunity to explore and develop new solutions for the industry. Development of Digital Studio further supported. • Creative Environment 2.65 released, featuring: Expressions, dopesheet, ghost mode, shape interpolation. • IDEAS: Interactive Developer’s Entertainment Authoring Software with ProPlay and ProPlay Plus solutions, includes: Softimage Creative Environment, NURBS support, polygon and color reduction tools, dynamic simulations and inverse kinematics. Features: Eddie compositing, video-effects software, distributed ray tracer and 3-D particles kit. The system further supports Softimage’s commitment to games developers. 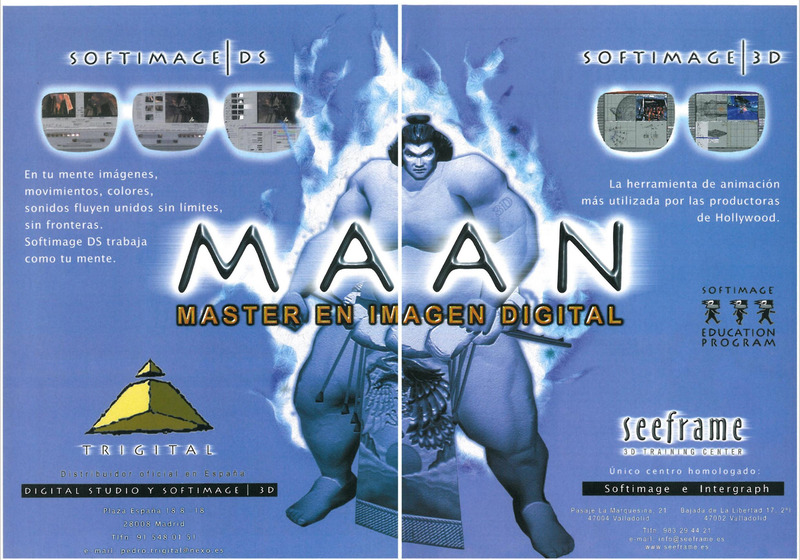 • Exploiting the power of the Pentium processor, Softimage leads the way developing the first high-end product on a platform of choice (Irix/Windows NT). • SOFTIMAGE|3D version 3.0 released, featuring: NURBS modelling, relational modelling, trimming, Instantiation, polygon reduction, tangent-to-path, Constraint, Q-stretch, Expressions, Motion control, Actor, Particle, mental ray rendering, Metaclay. • User-interface enhancements provide hot-key remapping. 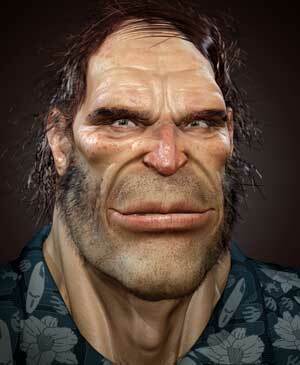 • SOFTIMAGE|3D “extreme” version launched featuring: Osmose, Virtual Theatre, mental ray. • SOFTIMAGE|Toonz version 3.5 and SOFTIMAGE|Eddie version 3.2 released. • Softimage introduces its Virtual Theatre, featuring performance capture and real-time compositing. • SOFTIMAGE|3Dv 3.5, 3.51 released on the Windows NT platform, delivering high-end animation tools to a wide-range of CG artists. • SOFTIMAGE|SDK Trance CD released. • “Sumatra”(code name) and RenderFarm unveiled. • SOFTIMAGE|DS prototype on Windows NT platform unveiled. •SOFTIMAGE|DS, one of the world’s most comprehensive nonlinear production systems (NLP™) for creating, editing and finishing videos, is launched. Over 10,000 people attended launch events in over 20 cities. Based on an advanced new software architecture, SOFTIMAGE|DS enables users to redefine the way they create content and improves the creative process by seamlessly integrating picture and audio editing, compositing, paint, image treatment, special effects, character generation and project management into one environment. Digital audio editing and non-compressed images meet painting, compositing, titling, image treatment and special effects as never before. • SOFTIMAGE|3D Version 3.7 Service Pack 1 is designed to meet the creative needs of artists in the film, broadcast and games industries. 80% of the improvements are the direct result of contact with customers in production environments improving the trajectory between creative idea and realization. • Softimage is the first to offer high-end comprehensive noncompressesd post-production system on the Windows NT platform (SOFTIMAGE|3D and SOFTIMAGE|DS). • Avid Technology, Inc. acquires Softimage. The two companies join forces to develop the next generation tools for digital artists. • SOFTIMAGE|3D v. 3.8 and SOFTIMAGE|DS v. 2.1 shipped. • Animation Redefined™: “Sumatra” (code name), the world’s first nonlinear animation editing system introduced. Dubbed “the next generation animation production solution”. Based on the same architecture as SOFTIMAGE|DS, “Sumatra” merges all 3-D animation, editing, and composting tasks, taking digital technology to the next level. •The Motion Factory, Inc., is acquired. The Fremont, CA-based company specialises in applications for the creation, delivery and playback of interactive rich 3-D media for character-driven games and the Web. •Softimage enters in to Xbox tools and middleware agreement with Microsoft. •Softimage announce support for Linux. •Softimage and Electric Rain collaborate to bring Flash, EPS, AI and SVG exports to SOFTIMAGE|XSI customers. •SOFTIMAGE|XSI v2.0 unveiled at Siggraph 2001 with release scheduled for October 2001. 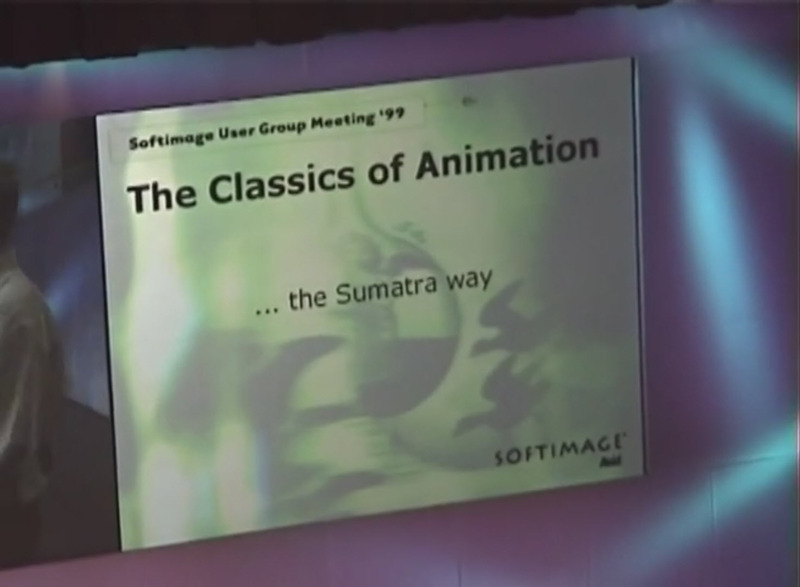 •SOFTIMAGE|3D v4.0 unveiled at Siggraph 2001 with release scheduled for Autumn 2001. © 2001 Avid Technology, Inc. All rights reserved. Softimage, Eddie and Avid are registered trademarks and Animation Redefined and NLP are trademarks of Avid Technology, Inc. mental ray and mental images are registered trademarks of mental images GmbH & Co. KG in the USA and/or other countries. Academy Award and Oscar are trademarks and service marks of the Academy of Motion Picture Arts and Sciences. Emmy is a registered trademark of ATAS/NATAS. Nintendo 64 is a trademark of Nintendo. All other trademarks contained herein are the property of their respective owners. Product specifications are subject to change without notice.